One car crash can derail your health, your finances, your career and your future. In fact, while an car accident can leave you with serious physical injuries and limitations, it can also cripple you financially and psychologically, leaving you with expensive medical bills, lost income, devastating emotional impacts, etc. In the worst cases, car accident victims can be left struggling with these impacts for years (or even forever). The Denver attorneys at Bell & Pollock, P.C. want victims to know that they are NOT alone in the aftermath of car accidents. Our lawyers are here for them, ready to advocate and champion their rights at every point in the recovery process. Experienced, skilled and tireless, our auto accident accidents can help you obtain the compensation and justice you deserve so you can focus on getting better, putting your life back together and moving on. Whenever you’re ready to learn more about your rights and legal options following any type of car accident, just call (303) 795-5900 or use the contact form on this page to email our firm. Taking the simple step to contact us can get you on the road to recovery and justice as soon as possible. If you have been in a car accident, the clock starts ticking immediately. 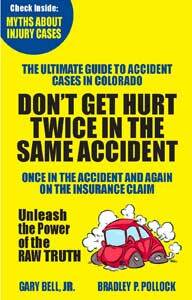 Per Colorado law, you will have 180 days to file any claims regarding injuries sustained in your car accident. If you wish to pursue legal action against the at-fault driver, you must be mindful of the time limits imposed. In the state of Colorado, the statute of limitations for personal injuries sustained in car accidents is three years. Once three years have passed, you will no longer be able to file a lawsuit or receive any damages or compensation from your accident. Generally, the damages recovered in a car accident case are Compensatory Damages, and they are meant to compensate you for whatever losses were sustained in the car accident. If the car accident was caused by extremely reckless behavior or willful and malicious conduct, then you may be entitled to Punitive Damages as well. What is negligence in a car accident case? Some car accidents are genuine accidents, but most have some form of negligence involved. We all have a responsibility to follow the rules of the road and drive safely. If a driver neglects the obligation to follow these rules, then it is likely a car accident will occur. For most car accidents, the argument will revolve around the cause of the accident or who is at fault. To prove negligence, evidence must demonstrate that one of the drivers breached their duty of care. Driving too fast, not obeying traffic signs, and failing to use turn signals are all acts of negligence that can result in a car accident. When it comes to compensation that can be recovered after a car accident, Colorado has limitations and caps on amounts you can receive. Pain and suffering, physical impairment, loss of enjoyment of life, and other losses like these are classified as Non-Economic Damages. The compensation for these damages is capped at $250,000 (plus inflation). If someone died as a result of the accident, the compensation for Wrongful Death is capped at the same amount as Non-Economic Damages. You might think that the injuries you sustained are not enough to require the assistance provided by an attorney, but you could be wrong. If you have sustained any injuries as the result of a car accident, you should speak with an attorney as soon as possible. An attorney with experience in car accident cases will have a better grasp on what sort of damages and compensation your specific injuries might entitle you to recover. Some law firms will charge you by the hour or even require you to pay a substantial retainer up front to secure their representation. At Bell & Pollock, that is not how we operate. We work on a contingency fee basis, meaning you do not need to pay by the hour, nor do you need to pay for the cost of our services up front. Instead, we don’t take a single dime unless we recover monetary compensation for you. If your case does not result in financial compensation, you are not responsible for any charges or fees whatsoever. Does my attorney deal with the insurance companies? When you have been in a car accident, the last thing you want to do is be stuck on the phone with the insurance adjuster for hours on end. Insurance claims employees know how to work this situation to their advantage, so you must tread carefully. To avoid the mistake of saying anything that could hurt your claim, you should have your attorney help you file your claim and ask them to keep in contact with the insurance companies on your behalf. How will I pay my medical bills if I can't work after a car accident? There are a variety of injuries that can result from a car accident, and you should immediately seek medical attention for them. Medical treatment is expensive, and the bills will begin to pile up. If you have health insurance, this should help with a portion of your medical bills, but if you can’t work, you might have a hard time coming up with the remainder. Try to negotiate with the hospital and ask to lower your payment. Explain your situation and that you are waiting on a settlement from your car accident. Many doctors and hospitals will be willing to work with you if they know your situation. What if I was partially at fault? Am I eligible for compensation? In Colorado, if you are in any way at fault in a car accident, you cannot receive 100% compensation for damages incurred. However, this does not mean that you are not entitled to any compensation at all. The Modified Comparative Fault rule that Colorado abides by allows the court to determine your percentage of fault in the car accident and then reduce the total amount of recoverable damages you would be entitled to by that percentage. If the court finds that you are more than 50% at fault for the accident, you might not receive any compensation. I was hit by an uninsured driver. Can I still file a claim? Car insurance policies sold in the state of Colorado are legally required to provide coverage for uninsured and underinsured drivers. If you are in a car accident and the other driver does not have insurance or does not have sufficient insurance to cover damages incurred, the uninsured or underinsured coverage on your car insurance policy will pay for damages. Collecting benefits from these policies is not an easy task. To see if you should file a claim, contact one of our attorneys today. I wasn’t wearing a seatbelt. Can I still file for damages? Colorado law requires that all drivers and front seat passengers in a car must be wearing a seatbelt while moving. If you are in a car accident and sustain injuries, but you were not wearing a seatbelt, you cannot file for all damages. Because you breached your duty of care, you are not entitled to damages for pain and suffering. That said, you can still file for other damages. Compensation can be awarded for emotional distress, loss of earnings, medical expenses, and impairment of quality of life. You should speak with an attorney who can guide you to your best options. I have been offered a settlement for my accident. Should I accept the offer? No. The goal of many insurance companies it to get away with paying you far less than you are entitled to for the injuries sustained in your car accident. Do not even consider the offer extended by the insurance company until you have been properly treated for all injuries sustained and you have a prognosis from a doctor. Speak with an attorney that has experience handling car accident and personal injury claims to help ensure you are fairly compensated. Recent Colorado car accident statistics reveal just how often collisions happen in the state – and what the most common causes (and impacts) of these crashes are. More than 600 people were killed in deadly car crashes in 2016. Since 2014, deadly car accidents in Colorado have surged more than 20 percent. 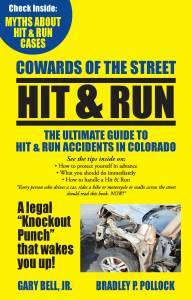 About 33 percent of all fatal car crashes in Colorado involve at least one drunk driver. Drivers’ mistakes and/or reckless actions are the number one cause of car accidents (both in Colorado and across the nation). Distracted driving, speeding and impaired driving are the top three motorist errors that cause auto collisions in Colorado. Driver inexperience contributes to about 1 in every 5 car crashes in Colorado. For more findings about the rates, causes and outcomes of car accidents in Colorado, check out more statistics here. These grim facts about the prevalence and impacts of Colorado car crashes are undoubtedly distressing (especially considering the fact that many motorist mistakes are completely preventable). What can be even more difficult to face, however, are the real-life consequences of just one serious crash. Focused on supporting victims and helping them restore their lives, the lawyers at Bell & Pollock know just how challenging the aftermath of an car accident can be. That is why our attorney are committed to guiding victims (and their families) through the recovery process – and doing whatever it takes to maximize their compensation and resolve their cases as favorably as possible. 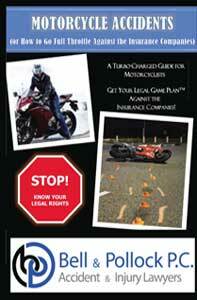 Accidents involving uninsured (or underinsured) drivers, driver fatigue and/or driver inexperience. Colorado has been a “no-fault” auto insurance state since 2003 (when the Colorado Accident Reparations Act was rescinded). 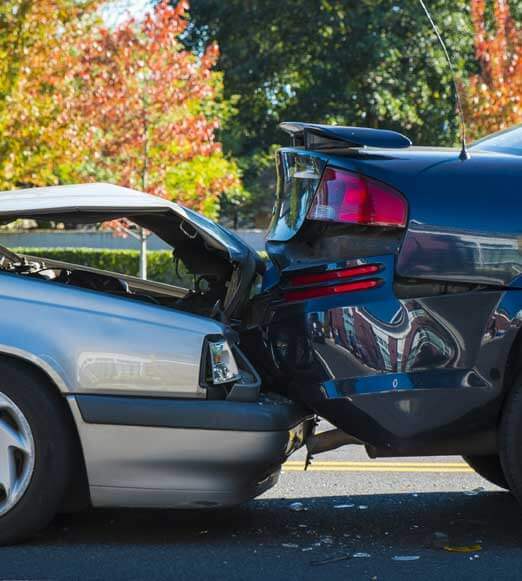 Consequently, car accident victims are legally required to establish that they did not cause a collision in order to be eligible for compensation (for their crash-related losses). The claims process will be smooth, easy or straightforward. 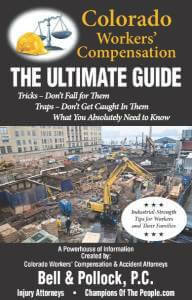 Victims can count on getting the full amount of compensation they deserve. 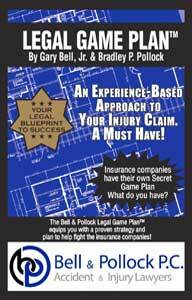 Insurance companies will honor policies, ethically handle claims or inform victims of their rights or options. In other words, auto accident victims should not trust insurance companies to be looking out for them when it’s time to pursue a claim. Instead, it’s strongly recommended that victims take action to protect their rights and interests – as well as the value of their claim – by retaining an experienced lawyer at Bell & Pollock, P.C. Providing unparalleled representation and compassionate support, our lawyers always tailor their service to meet the unique needs and circumstances of car accident victims. For any case we take on, however, our clients can count on us to what’s necessary to build them the strongest possible claim (and to set them up for the best possible outcome). Gather all available evidence, including crash photos, surveillance footage, police reports, witness accounts, etc. Aggressively pursue all available legal remedies to help our clients maximize their recoveries. Call a trusted attorney at Bell & Pollock, P.C. at (303) 795-5900 to get on the road to recovery now. You can also email our firm via the contact firm on this page. As proud champions of the people, our lawyers are ready to answer your questions, explain the law and your rights, and help you take whatever steps necessary to recover the compensation you’re entitled to. With us in your corner, you can be confident that you have the legal support and representation necessary to successfully resolve your claim. Don’t delay your recovery for a second longer – and don’t be misguided into thinking that you have to go through the process alone. Our attorneys are here, ready to help – and you won’t have to pay us anything until (or unless) there is a recovery in your case.